Describing software or IT architectures, and effectively communicating about architecture to (business) stakeholders is a relevant and important skill for architects. Many of us can advance in that skill, since communicating (about) architecture is important… but also hard, especially to non-technical stakeholders. Similar to a presentation at O’Reilly Software Architecture conference in NYC, this presentation presents relevant theories, techniques and examples of creating architecture visualizations that are attractive, informative, and easier to understand for non-technical audiences. 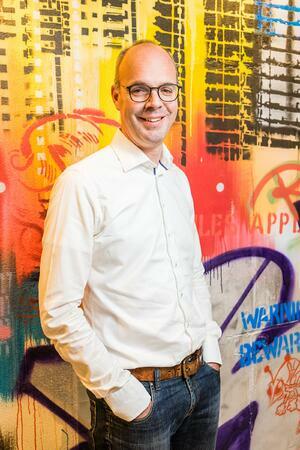 Jochem is a software architect / technologist solving business challenges by application of software. He is best described as an esteemed and professional team player with high integrity and sense of responsibility. Conscientious with an eye for detail as well as the bigger picture. Intelligent, analytical, versatile, broad range of interests. Able to quickly grasp and master new areas. Combines experience in IT and software development with curiosity and hands-on experience in application of new technologies. Comfortably shares innovations, new ideas and potential applications. Great sense of humour.